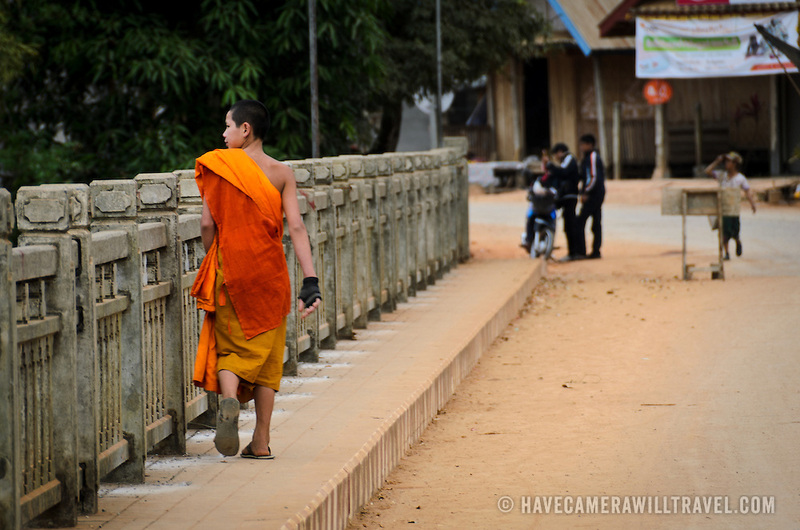 A young novice Buddhist monk in bright orange robes crosses the bridge over the Nam Ou (Ou River) in Nong Khiaw in norther Laos. In the distance at right of frame a few young kids play.. The town's name is sometimes also spelled as Nongkiau, Nong Kiau, or Nong Kiew.